While the rest of the NBA was playing hot potato with middling assets on Wednesday night, the Golden State Warriors decided to remind everyone that nothing matters, and that every NBA transaction from now until Kevin Durant decides where he wants to play next summer will be rendered meaningless by wide-open Splash Brother threes. Playing against a “load-managed” Spurs team missing LaMarcus Aldridge and DeMar DeRozan, the Warriors went on a monstrous run between the second and third quarters to push a relatively close game into farce territory: from the 3:55 mark in the second quarter through the 1:01 point in the third, this damn Golden State team made 24 out of 25 straight field goals. By the time the carnage was over, a four-point game had turned into a 33-point blowout. The final tally for that flurry: 64 points, six three-pointers, and one demoralized opponent. How do you even stop this? New Orleans could just hand Anthony Davis to the Lakers for an In-N-Out coupon, and it wouldn’t matter. Nothing will matter until the summer, when Durant might go mope in New York and Klay Thompson might decide he wants to bum around in Sacramento. In the meantime, this Warriors team isn’t stopping for anyone. Maybe a February game against a rotated Spurs squad isn’t the most potent reminder of the Warriors’ power, but the timing is instructive. 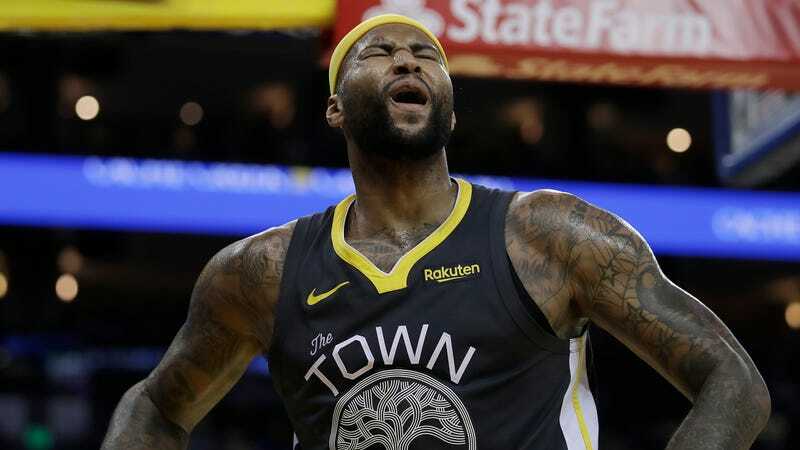 All the league-wide transactional chaos of the trade deadline means absolutely nothing until these Warriors decide to call it quits out of boredom.